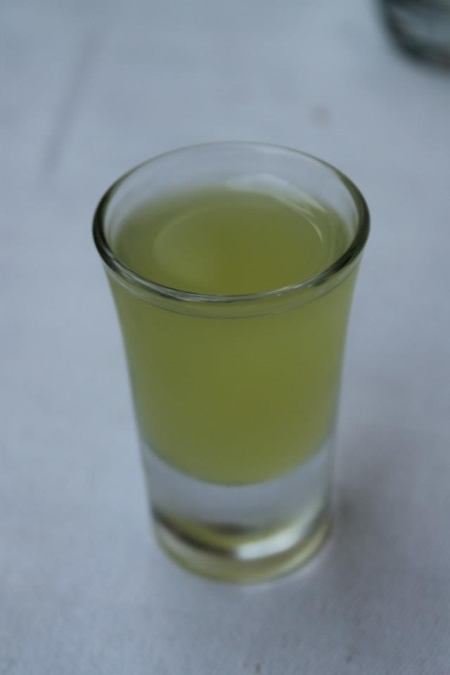 Limoncello is an Italian lemon liqueur mainly produced in Southern Italy, especially in the region around the Gulf of Naples, the Sorrentine Peninsula and the coast of Amalfi, and islands of Procida, Ischia, and Capri. It is also produced in Abruzzo, Basilicata, Apulia, Sicily, Sardinia, Menton in France, and the Maltese island of Gozo. Although there is debate about the exact origin of the drink, it is at least one hundred years old. Although we’ve had it other places, we fell in love with it when we traveled to Amalfi, Italy a few years back. I think it was the nostalgia. 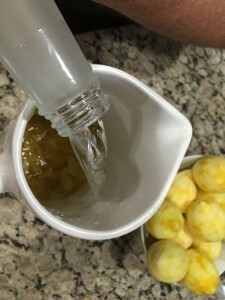 It is made with lemon zest, or peels without the pith and is steeped in rectified spirit until the oil is released resulting yellow liquid that is then mixed with simple syrup. 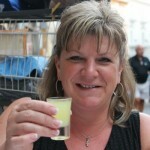 Limoncello is the second most popular liqueur in Italy and it has recently become popular in other parts of the world. 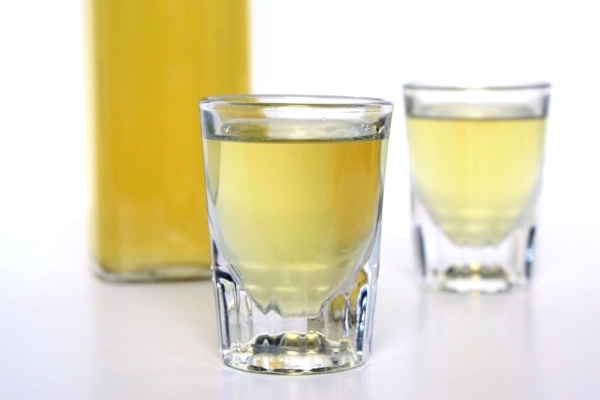 Restaurants in the United States, Canada, the United Kingdom, Australia, and New Zealand are now increasingly offering limoncello on their beverage and dessert menus. 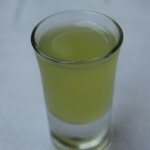 It is traditionally served chilled as an after-dinner digestive. 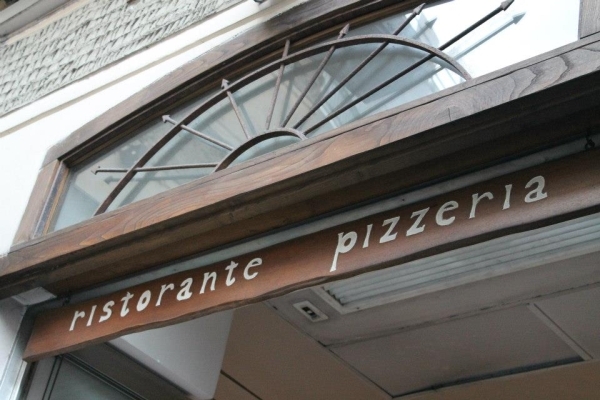 Along the Amalfi Coast, it is usually served in small ceramic glasses that are also chilled. This tradition has been carried into other parts of Italy. 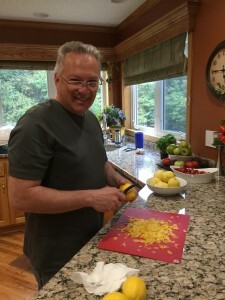 Bill got this recipe courtesy of Giada De Laurentiis. Using a vegetable peeler, remove the peel from the lemons in long strips (reserve the lemons for another use). Using a small sharp knife, trim away the white pith from the lemon peels; discard the pith. 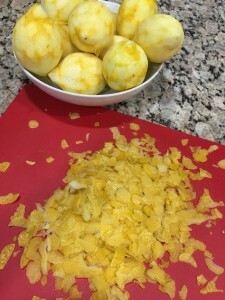 Place the lemon peels in a 2-quart pitcher. Pour the vodka over the peels. 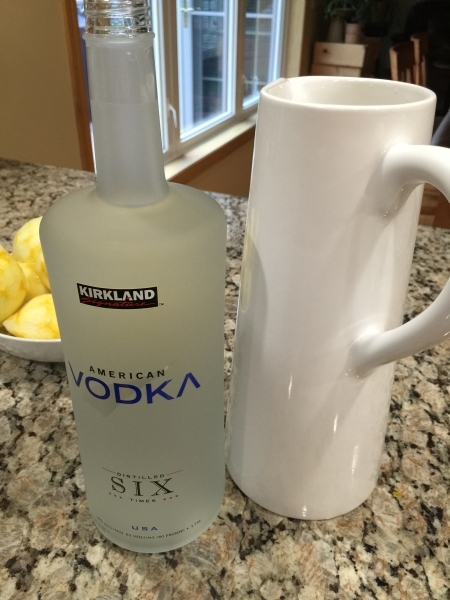 Cover with plastic wrap and steep the lemon peels in the vodka for four to seven days at room temperature. Stir the water and sugar in a large saucepan over medium heat until the sugar dissolves, about 5 minutes. Cool completely. Pour the sugar syrup over the vodka mixture. 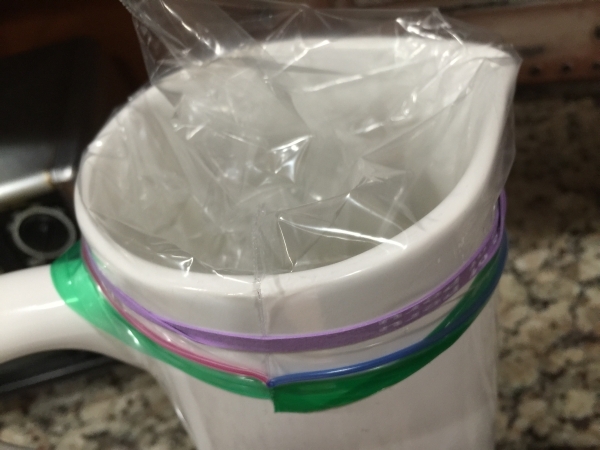 Cover and let stand at room temperature overnight. We let it sit for six weeks in a cool dark pantry. Strain the limoncello through a mesh strainer. Discard the peels. Transfer the limoncello to bottles. Seal the bottles and refrigerate or freeze until cold. We keep it in the freezer and serve it chilled! This was a little restaurant that we sat outside with our friends in Italy. 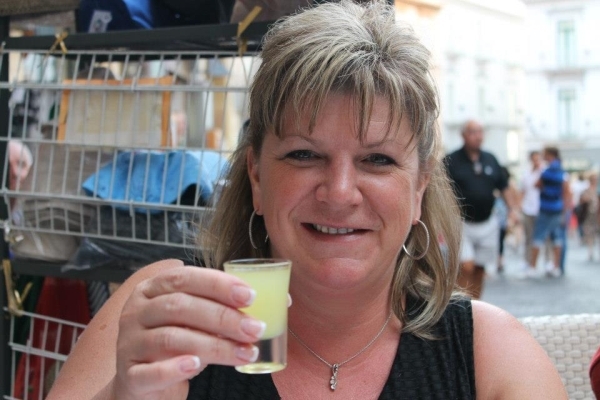 We enjoyed wine, pizza and conversation while we watched the hustle and bustle on the street before enjoying a sipper of Limoncello for dessert!